Press the hidden button and watch the Creeper explode! Keep building the fun from the video game with this large-scale Minecraftfigure. 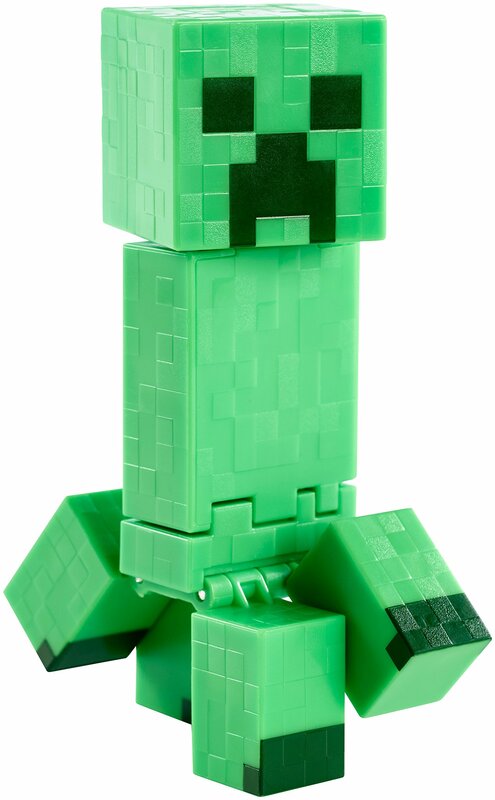 This 5-inch Exploding Creeper figure features moves unique to itsclassic character. In the game, Creepers form hostile and dangerous mobs whosesignature move is to explode. Simply press the button on the top of theCreeper's head and BAM!--it explodes bringing the game to life! Relive yourfavorite moments from the world of Minecraft! Collect them all! Each soldseparately, subject to availability. Colors and decorations may vary.